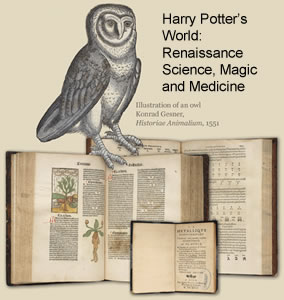 The Sheldon Museum and Cultural Center will open a new exhibit, “Harry Potter’s World: Renaissance Science, Magic, and Medicine,” on Dec. 19, on view until Jan. 30. In 1997, British author J. K. Rowling introduced the world to Harry Potter and a literary phenomenon was born. 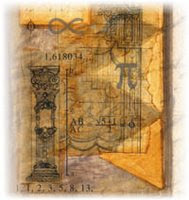 Millions of readers have followed Harry to the Hogwarts School of Witchcraft and Wizardry where he discovers his heritage, encounters new plants and animals, and perfects his magical abilities. 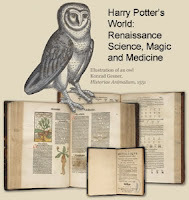 Although a fantasy story, the magic in the Harry Potter books is partially based on Renaissance traditions that played an important role in the development of Western science, including alchemy, astrology, and natural philosophy. 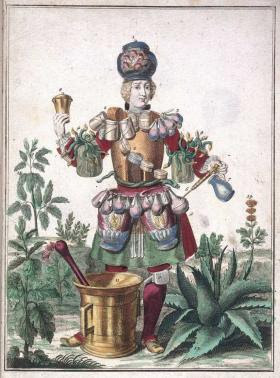 An apothecary with the tools, costume and apparatus of his trade, from an 18th century engraving by Martin Engelbrecht. Incorporating the work of several 15th- and 16th-century thinkers, the exhibition examines important ethical topics such as the desire for knowledge, the effects of prejudice, and the responsibility that comes with power. Sheldon Museum’s own Cabinet of Curiosities and profiles of some of the explorers and scientists who shaped the Alaskan landscape. The opening on Dec. 19 from 1-4 pm will include non-alcoholic butterbeer, potions demonstrations, crafts, and special guest Hans the Eurasian Eagle Owl courtesy of the American Bald Eagle Foundation.